The video shown here is a simple explanation of how the TTA works. 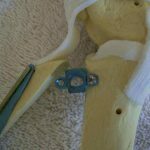 By advancing the tibial tuberosity cranially (anteriorly, or forward) it changes the way the quadriceps muscle pulls on the front of the leg, such that it now becomes the new “cruciate ligament”. 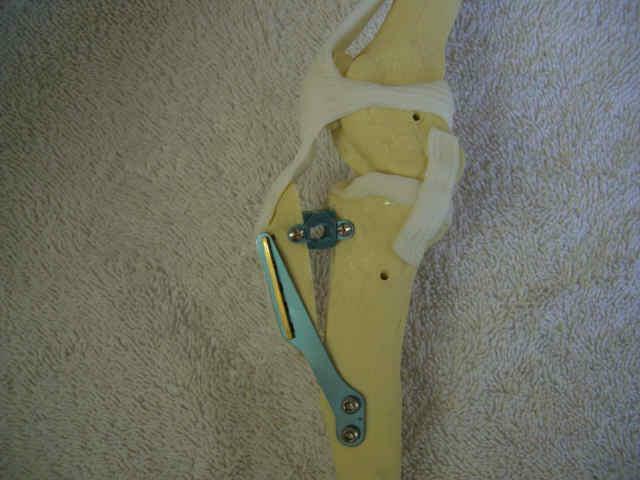 Goal: To acquaint the participant with the biomechanics of the canine stifle and how tibial tuberosity advancement alters those biomechanics to produce a stable knee when the cranial cruciate ligament has torn. 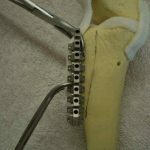 Method: On-site training in your hospital using cadavers, real patients, or models, to instruct you hands-on in the proper technique of tibial tuberosity advancement for the treatment of cranial cruciate ligament disease in the dog. We send notes and a video prior to showing up in your hospital, and bring our own equipment to show you what you need to perform the procedure properly. We will even help you acquire the equipment if needed. We are available after the training by telephone or email to assess your technique radiographically, and help you develop postoperative rehabilitation programs. Participants are free to schedule as many surgeries as they feel their staff can handle in a one-day period. I would highly encourage you to limit it to 5 cases in one day, else consider two days of training on-site. You may also bring in one other veterinarian if you wish, and I encourage you to videotape the procedures. Group teaching rates are also available, as well as state convention presentations. To keep prices down, if you already have equipment (drill, saw, TTA equipment), please let me know that when requesting a training session, as I am willing to adjusts costs accordingly. Costs vary depending on location, number of procedures performed, and number of days at your location. For an estimate, send an email to me at info@jeffmayodvm.com. 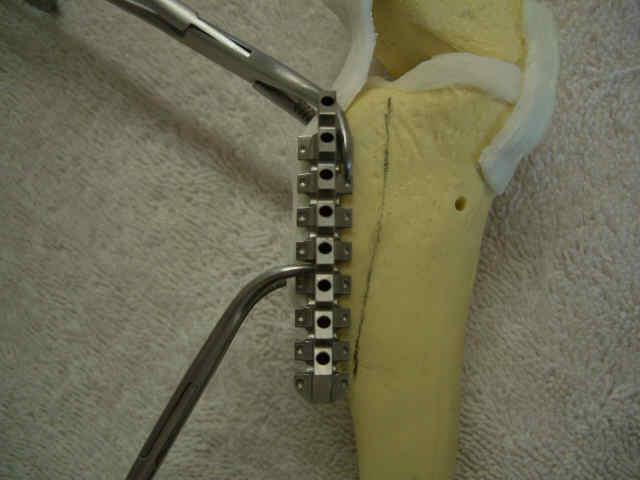 TTA Chart This chart is a summary of how to select for an implant, cage, and the appropriate width of screw for each of the parts. This is best taped to the wall in your surgery room, updated 11/2009. TTA Template This is the acrylic overlay for assessing the TTA implant sizes. 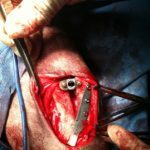 TTA Common Tangent Discussion This file discusses the common tangent method of picking your advancement cage for implementing the TTA surgery. 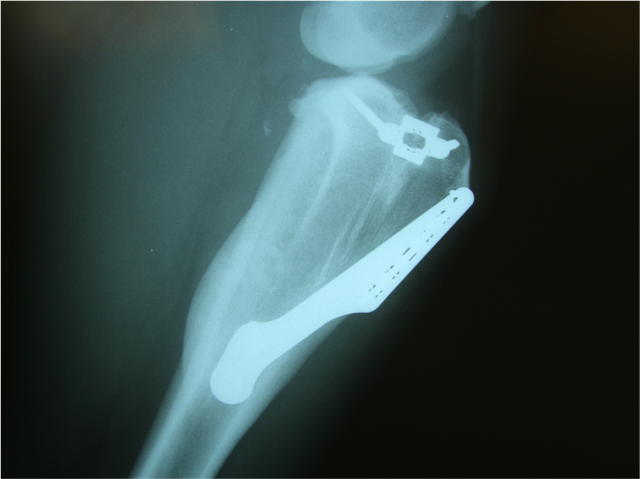 Controversies in RCCL Repair This short paper briefly discusses controversial topics in repair techniques for ruptured cruciate ligaments in dogs. 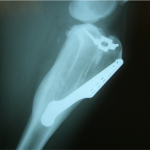 Cranial Cruciate Ligament Disease This paper is a discussion on diagnosis and pathology of ruptured cruciate ligaments in dogs. Mayoetta This is an article from the May ’08 issue of Vet Practice News on TTA. 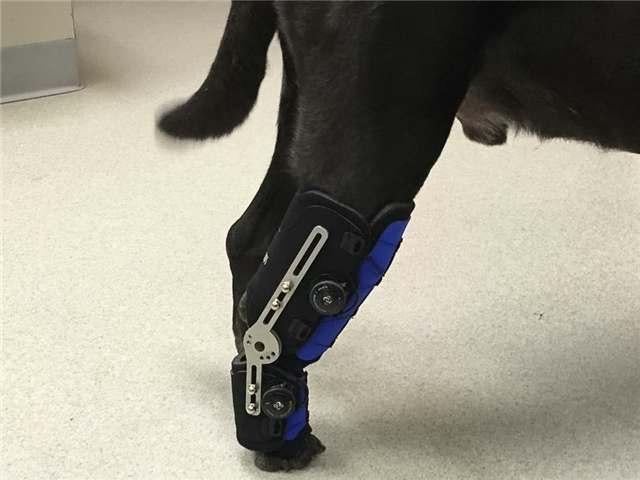 Post-Operative Instructions This short paper discusses postoperative rehab for dogs with TTA repair. For more information, please refer to www.topdoghealth.com. Reasons for Poor Recovery from TTA This paper covers the top reasons I have seen clinically as to why patients may not recover from TTA surgery as expected. TTA for the Client A short paper to give to pet owners if their pet is going to have the TTA procedure done. 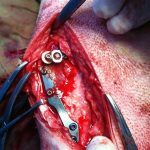 For more information on Rehab, go to www.topdoghealth.com, or go to www.ttaguide.com. 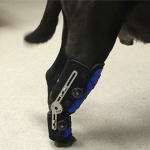 For those who live the in the Seattle area and north, please see the section on Splash Dog for rehabilitation assistance. 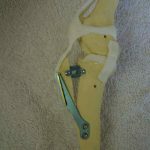 THE MOST COMMON POSTOPERATIVE COMPLICATION IS SWELLING IN THE LEG: This can be prevented by using a graft from a different part of the leg to fill the osteotomy site, or using a synthetic grafting material. 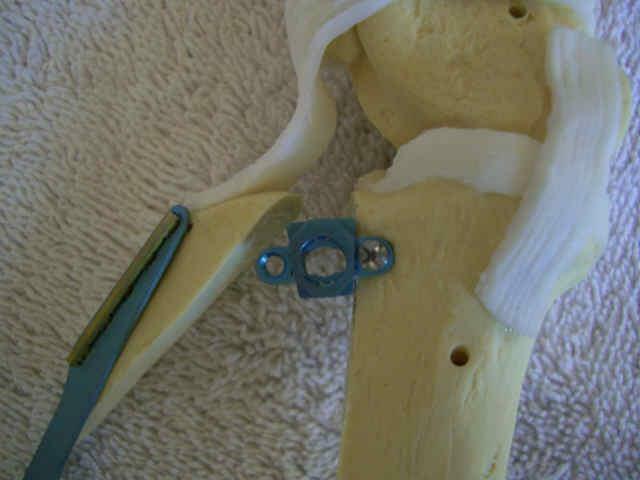 Historically, rehabilitation on knee surgeries in general has been limited to one common recommendation – cage rest! 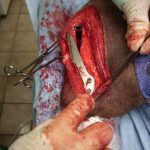 Veterinarians have been reluctant to allow their patients to perform even the slightest of exercise movements postoperative, for fear that the patient will ruin the work (and expense) already performed. If we have learned one thing from human medicine, the sooner the patient is up and using the leg, the quicker will be the recovery. There is only one modification to this thought that should be stated here, if the leg does not hurt, the dog will use it, and premature overuse of the leg will result in critical damage to the proper healing process. 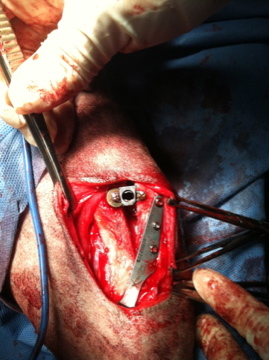 We cannot overemphasize enough, do not let your dog run loose until the doctor has pronounced the surgery a success. First Two Weeks: The first couple days when your pet comes home, the pain will be the worst. Why? Dogs are pretty smart, and they figure out right away that when they act like they are in pain, they will get more attention from their owners. It is important to not let your pet loose to run freely, particularly up and down stairs without assistance. They can go outside ON A LEASH to go to the bathroom, and then they must return inside and rest. 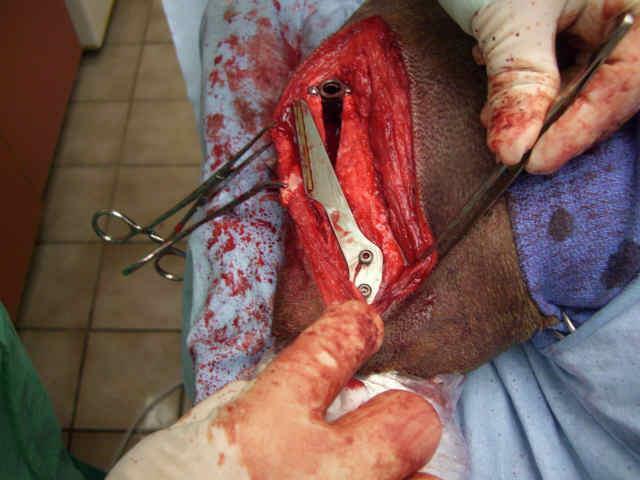 At the end of this two week period, have the skin sutures removed by your veterinarian. 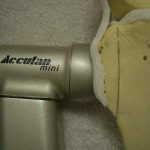 I highly recommend www.ttaguide.com. First 5 days – ice packs 2-3 times daily for 10-20 minutes. This will help significantly with the swelling. Pain medication – as written by the doctor. If this is not working, do not overdose, call the office for further recommendations or additional medications. The most common protocols of pain medication include combinations of a non-steroidal medication and an additional medication called tramadol. DO NOT overdose the tramadol medication, it can cause seizures in your dog. After 5 days, apply heat to the area 2-3 times daily for 10-20 minutes. 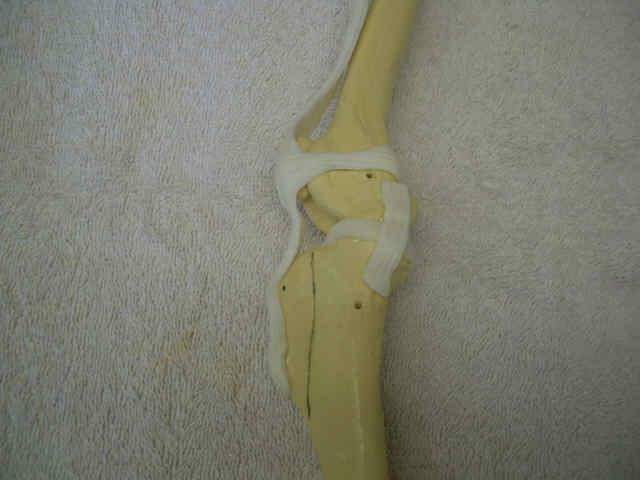 Afterwards, begin GENTLE range of motion of the leg that was operated on after the heat pack has been applied. If you are not clear about this, ASK! 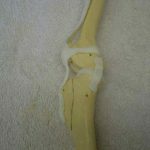 Do not move the leg through range of motion if it is significantly swollen. No other exercise is recommended for the first two weeks. Clean the wound daily if needed with dilute hydrogen peroxide or warm soapy water, and do not allow the dog to lick it. If he attempts to lick the wound, please get an e-collar. Second Two Weeks: At this point, walking on leash is tolerated. Pain medication – should be off of prescription medicine, however, giving one aspirin for the average 50-100# dog 30 minutes prior to any physical therapy is advisable. Apply heat to the leg for 20 minutes, then exercise the leg through range of motion. Walking on a leash is acceptable, but begin with one block and stop. If the dog returns home and is not in pain, you may increase this in 1 block increments every 4-5 days as tolerated, provided your dog is not in pain when the walk is over. 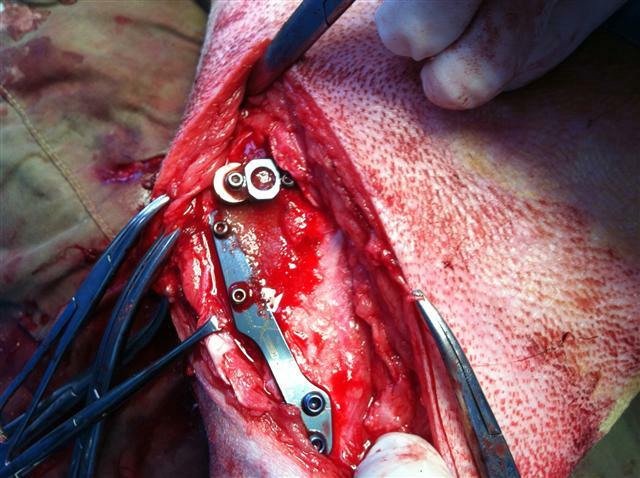 While walking, push the dog’s hips towards the operated leg slightly to help convince him/her that the leg can be used. Lift the front end of the dog for 5 second intervals prior to starting the walk to increase the strength of the leg. Try several repetitions. Ask your pet to sit and stand several times a day to help strengthen the limb. Third Two Weeks: By this time, walks should be in the 20 minute range or better, and tolerated well. Do not run yet. Increase the duration of walking as much as you can without causing the dog pain. Do not exceed the 20 minute range. If you have access to a pool, some hydrotherapy is ok, but NOT unattended nor allowed to swim in water over the dog’s head. Any hydrotherapy over 10 minutes is more likely to exaggerate patellar tendon inflammation and result in lameness. Fourth Two Weeks: At the end of this period, it is time to come in for the follow up x-ray. 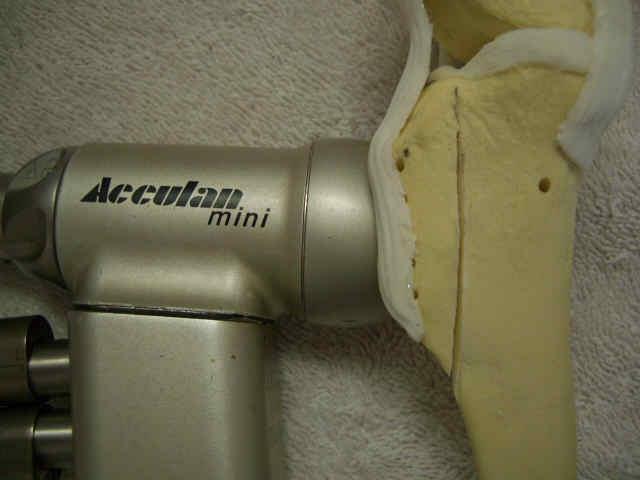 We want to make sure everything has healed prior to increasing the exercise as tolerated. Be forewarned that if you just go home and turn the dog loose, he will be in pain. This is the point where you can SLOWLY build back up to full exercise. If your pet is not doing well by this point, please consider (1) there may have been a complication, (2) an injury elsewhere, or (3) your pet may have significant arthritis preventing him from completely recovering. We recommend PRP-HA injections with ALL knee surgeries to help combat osteoarthritis.